READ ALL ABOUT IT !! The STEEMIT BLUEPAPER is HERE! 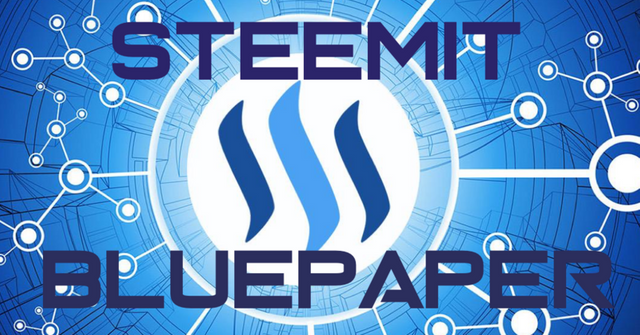 So excited to finally read the newly released STEEMIT Bluepaper with some very surprising info of things to come.. GO STEEMIT!! Simply Click Here to Read It!! Please Share Your Thoughts As I Will Soon Update This Post To Share My Ananysis! Lots of exciting things in store. I can't wait. Downloaded. Will read. Thank you! Yesssss!!! Feast on the BluePaper - I love how that added just the right color of light blue for the background of it!! STEEMIT ROCKS!! I hope you are joking... Of course I read it - I actually read it twice - My intention of the short quick post was simply get it out to the many people that have been dying to read it - I also included that I was going to update the post shortly with an in-depth analysis. @outerground - I totally missed the wink you big flirt.. lol - and yes hopefully within a few hours I'll post it - prob a new post though - but yes there def are some BIG changes coming - not sure what page #'s they were on but - whoever is going to make the changes - implement them - definitely took a look into the future (like 2-4 years down the road) and is integrating the new functions with the current changes scheduled to take place.